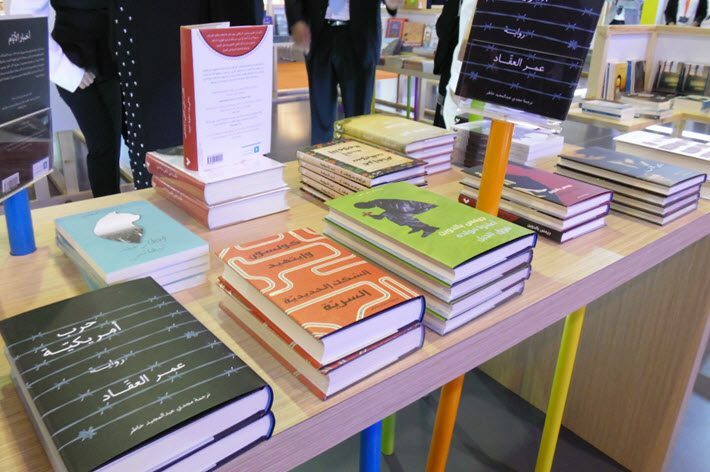 Known for its children’s literature, the UAE’s Kalimat Group turned heads at this month’s Sharjah International Book Fair with its Rewayat imprint’s new translations: Capote, McEwan, Baldwin, Al Bishr. Now in its 11th year and created by the Sheikha Bodour bint Sultan Al Qasimi, Sharjah’s Kalimat Group is a major children’s book publisher, the first house dedicated to young readers’ content in the Middle East, one of several icons driving the rising stature of the UAE’s third-largest emirate among international publishing players. Kalimat’s new imprint Rewayat is behind these adult fiction and nonfiction translations. It turns out that many prominent Western titles haven’t been translated into Arabic before. Intrigued to know more about Kalimat’s expanding translation program, we’ve put several questions to Bodour Al Qasimi, who had discussed her company’s translation partnerships at the Frankfurt Book Fair’s Business Club in a Publishing Perspectives Talk with the Quarto Group’s Marcus Leaver, Bloomsbury’s Nigel Newton, and Gallimard Jeunesse’s Hedwige Pasquet. Bodour says that the Kalimat Group is building out a reading pathway that starts with children’s books and—when they’re ready for more mature content—includes titles for today’s adult readers in the Arab world. Publishing Perspectives: From our conversations in Sharjah, we know that this influx of such pivotal modern European and American classics into Arabic translations is new to Rewayat. What’s the inspiration for making them part of the catalogue? 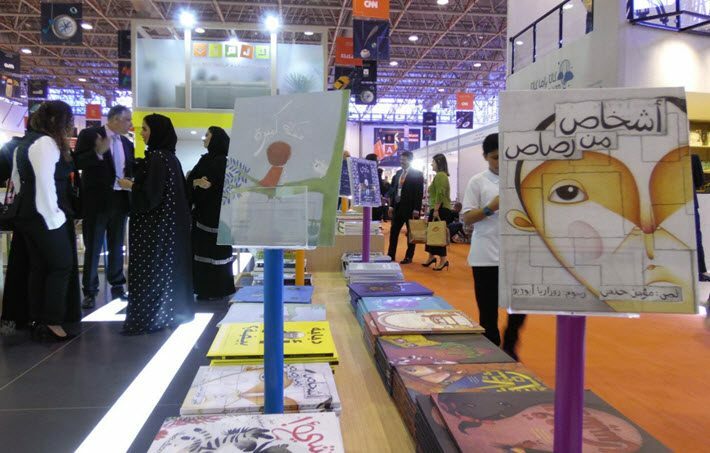 Bodour: Increasing the diversity and quality of Arabic children’s books is a key reason why I started Kalimat Group in 2007. The books available to Arab children were poor translations of foreign books, not contextually relevant, and not age-appropriate. 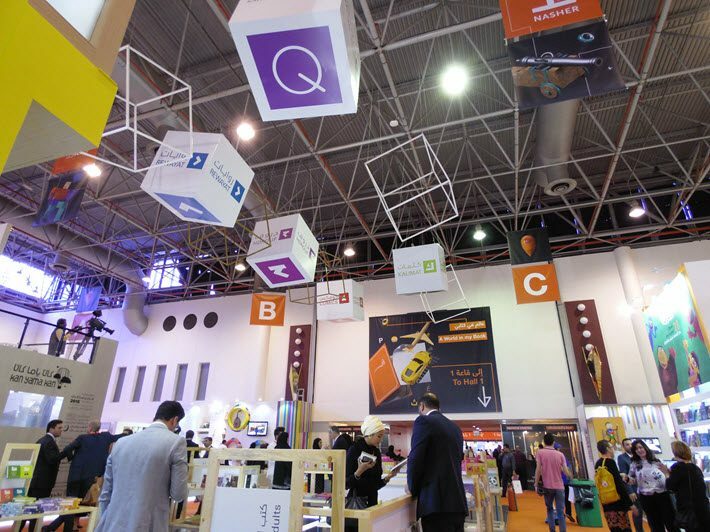 While the situation is gradually becoming better, there’s still much more effort required by the publishing community to publish quality Arabic books and digital content in a wider array of genres, subjects, and formats to meet rising consumer demand. At the same time, our region’s young adults and adults are becoming more interested in understanding the world around them. 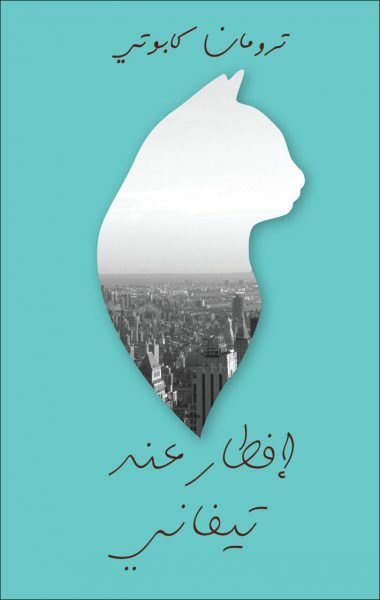 And while our original Kalimat imprint focuses on suspense, illustrated nonfiction, action, fairy tales, and fantasy for younger audiences, Rewayat specializes in publishing Arabic fiction and nonfiction, and translated novels in themes of interest to adults. We believe that focusing Kalimat on addressing market demand among children and young adults complements our existing offerings to children with content that helps them navigate through the complexities of adulthood. This means that through Rewayat we have an opportunity to cater to the Arab adult audience with a variety of themes and genres. PP: Where in the market does Rewayat place its emphasis? You’re carrying contemporary authors as well as modern luminaries, right? Bodour: Yes, focusing Rewayat on adult audiences gives Kalimat Group the opportunity to publish titles from emerging authors who write about subjects that are sensitive in our region. 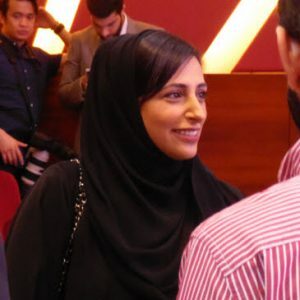 For example, titles such as Badriah Al Bishr’s Thursday’s Visitors, which sold out at Sharjah International Book Fair, is an example of the sort of titles Rewayat will target. 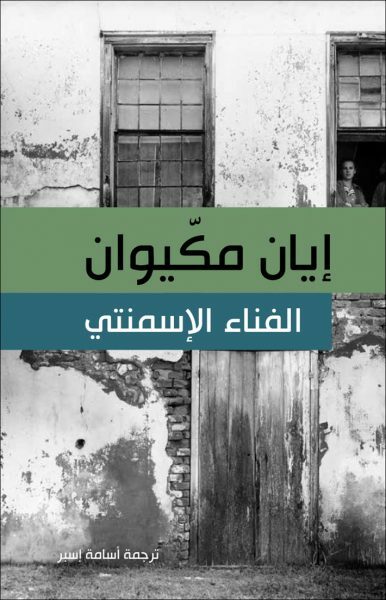 Some of the titles Rewayat will publish have been criticized in neighboring countries and may at times push societal boundaries by challenging readers’ opinions and promoting them to draw their own conclusions. PP: Al Bishr is a Saudi novelist, and her Thursday’s Visitors is a coming-of-age novel about a woman who finds herself becoming more and more like her mother, despite efforts to change the course of her life—and in a culture that’s hardly forgiving to women’s needs for self-actualization. Bodour: She’s a prominent Saudi personality and for her voice to be heard in the past was a struggle. But nowadays, through Rewayat we have given her and others a platform to share their stories with the world. 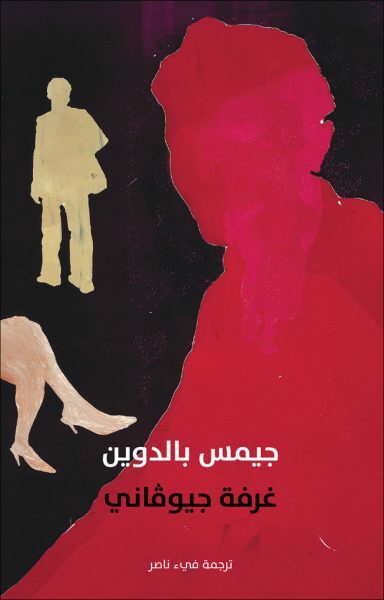 In addition to the work we’re doing to tell homegrown stories with settings and themes our audiences find familiar, classic novels in Arabic translation, such as Breakfast At Tiffany’s and Giovanni’s Room, are also key to enabling our readers to find understanding in the world around them. However, classics aren’t our only focus. 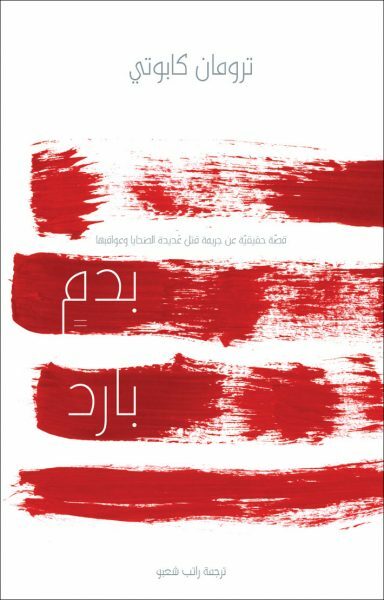 For example, through Souad Mekhnet’s unique insights into radicalized groups in her book I Was Told To Come Alone, Rewayat is also bringing Arab readers contemporary translated works and memoirs. In addition to classics, we see significant opportunities in translating contemporary authors who can span cultural boundaries with universal themes. 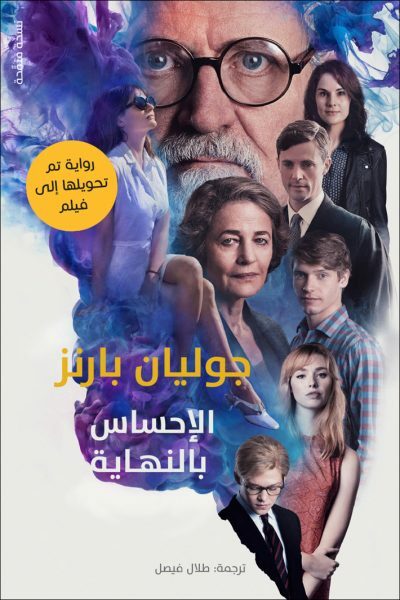 PP: Is it not also possible that Western publishers will look at this move—bringing English and other language classics into Arabic—and realize that they could be bringing Arabic classics into their own languages? Bodour: Arab publishers today offer a lot more in terms of high-quality, globally appealing content than when we started Kalimat Group 10 years ago. Internationally, the publishing industry is witnessing growing demand for original, distinctive writing that immerses readers in more diverse narratives. This trend of reader adventurism presents significant opportunities for Kalimat Group to partner with international publishers to meet demand from increasingly diverse, world audiences. As you know, we currently have agreements with leading global publishers such as Quarto Group, Bloomsbury, and Gallimard to bring Arabic classics to the world. And we’re always looking for more partners. There’s significant interest from potential partners in translating children’s and contemporary literary fiction to other languages. PP: Is there a way to quantify how much Arabic content is available to work with overall? Bodour: Our best estimate is that the Arab world produces between 15,000 and 18,000 new titles per year. Based on somewhat incomplete statistics from UNESCO, approximately 13,000 books have been translated from Arabic to other languages over the last two decades. This means that just 4 percent of titles produced in the last 20 years in Arabic were translated to other languages. And these titles were primarily translated into only a few select languages including English, French, German, Spanish, Italian, and Turkish. As an industry, have a lot of work to do in building demand for Arabic translations and increasing the languages into which Arabic books are translated. Despite the launch of several initiatives, grants, and awards in the Arab region that support translation of books from Arabic, as a region, we’ve been less successful than other nations and regions in getting Arabic translated publications into the hands of international readers. We need to enhance our efforts, industry-wide, to address key challenges that prevent Arabic translated publications from reaching those international readers. Through the Arab Publishers Association and Emirates Publishers Association, the UAE is playing a key role in working with publishers across the region to do exactly this. PP: Some of the Rewayat titles have 2018 publication dates, but so far, is it possible to tell what sort of response this initiative is getting from readers and booksellers? Are they excited that these titles are becoming available in Arabic? Bodour: As the leading book fair in the region and one of the most-visited by international industry players, the Sharjah International Book Fair is a good proxy for the likely response to Rewayat’s initiative: this year, Rewayat unveiled 15 new titles, and we were overwhelmed by the positive response from readers, publishers, and booksellers. We don’t have sales figures yet, but the 10 days of the fair account for approximately 20 percent of annual UAE book sales. So it’s an important bellwether for how particular titles might sell across the region. Some of our titles, like Thursday’s Visitors, have sold out completely and we’re in the process of reprinting. Other titles like Truman Capote’s In Cold Blood have sold really well, followed by all of our James Baldwin titles and Souad Mekhnet’s I Was Told to Come Alone. Posted in Home, صحافة ومشاركاتBy Ahmed Al.